¼’’ Thick Static-Dissipative PVC walls and sash. Static-dissipative PVC has a slight grey tint and is chemically resistant to most common corrosive agents. Static-dissipative PVC eliminates static charges and keeps the dry box clean since it does not attract particles from the air. Surface resistivity of 106 – 108 ohms per square. Provides for ESD control without the need for ionization. Polypropylene worksurface and fan filter housing. Polypropylene is highly resistant to corrosive agents. The clear top panel provides enough light in the work area. 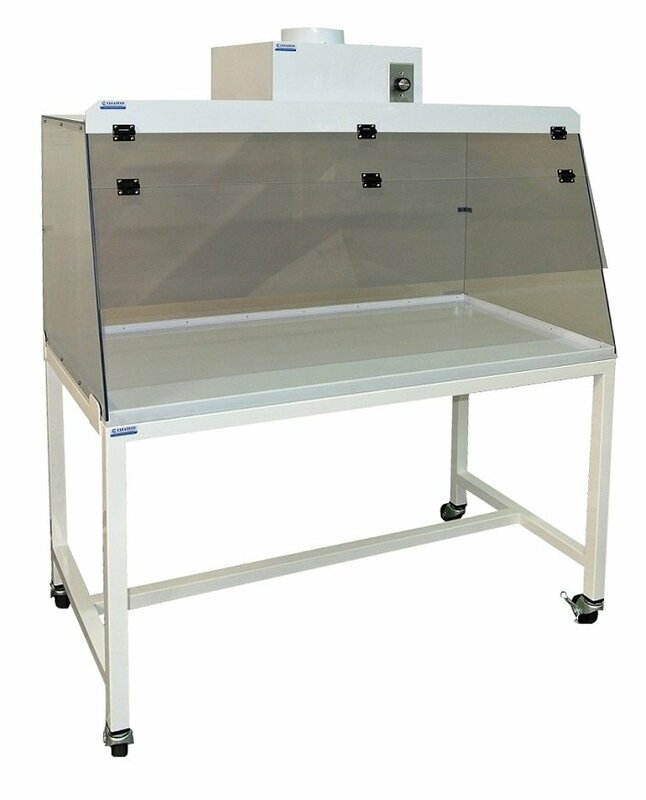 Fume hoods can be positioned on nearly any bench or surface. Can be shipped knocked-down or pre-assembled (turnkey). Includes two hinged access shields that increase airspeed by restricting the air flow. Optional Fan Module housed in polypropylene enclosure with a 6'' or 8'' duct port. The module has adjustable speed and features a 480 CFM backward curve impeller, 120VAC. Epoxy powder coated steel stand with leveling mount. Available in 30'' and 35'' height with an optional upgrade to casters (including two locking). Airflow Alarm Monitor with or without a touchscreen. Monitor provides full-time tracking or air velocities within the fume or exhaust system. 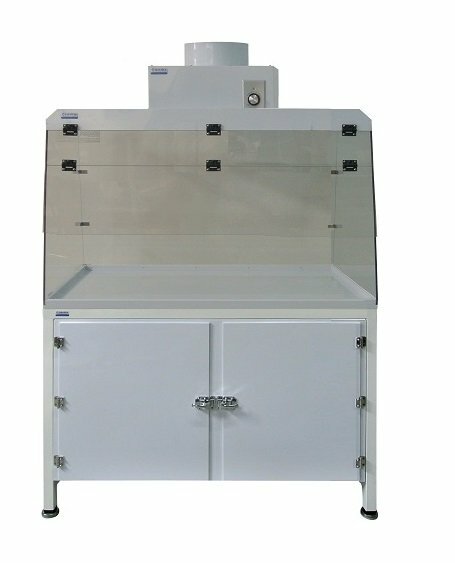 See all available models and accessories of Cleatech fume hoods. 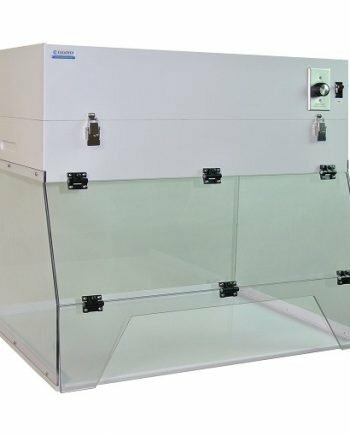 Compare the many designs and fabrication features that make Cleatech fume hoods the most efficient and affordable ductless and ducted ventilated enclosures available. 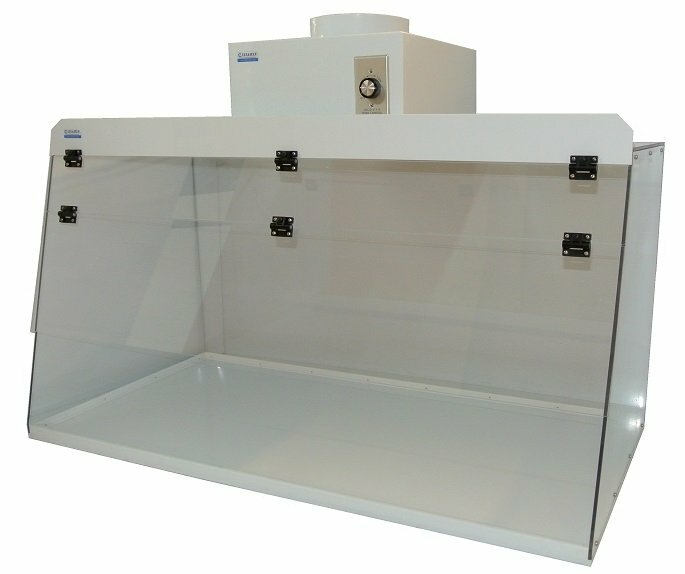 Download the fume hood datasheet in PDF. 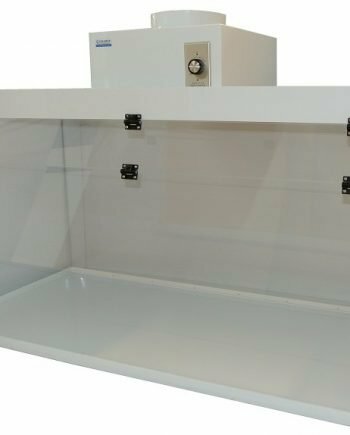 In this video, we will be showcasing Cleatech ‘s fume hoods and available options and customization. 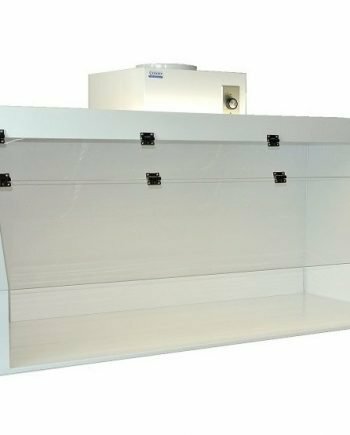 A general guide specifying the differences between the types of fume hood products we carry.